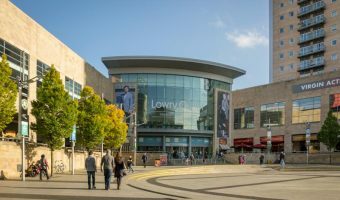 Movies showing today at the Vue Lowry Manchester. 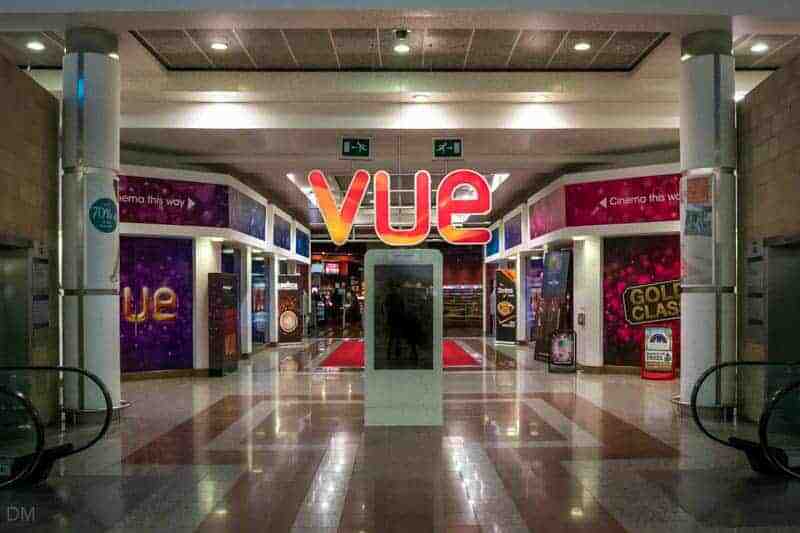 This Vue multiplex cinema is situated at the Lowry Outlet Mall, a shopping centre at Salford Quays near Manchester. The cinema, previously known as the Red Cinema, offers seven screens, all with Dolby surround sound and wheelchair access. The smallest auditorium offers 42 Gold Class seats. Gold Class offers benefits such as luxury reclining seats and a licensed bar. Tickets are cheapest Monday to Friday before 5 pm. Students, children, and seniors enjoy discounted tickets at all times. On Super Tuesdays everybody pays off-peak rate for children (membership required). Customers of comparethemarket.com can get two tickets for the price of one on Tuesdays and Wednesdays. Kids AM screenings, during school holidays and on Saturday and Sunday mornings, offer tickets at pocket money prices. Like most cinemas the Vue Lowry offers its own concession stand. Further eating and drinking options are found in the Lowry Outlet Mall. The Food Hall, just a short walk from the cinema, offers fast food outlets such as Burger King, Fat Jackets, Harry Ramsden’s, and Subway. 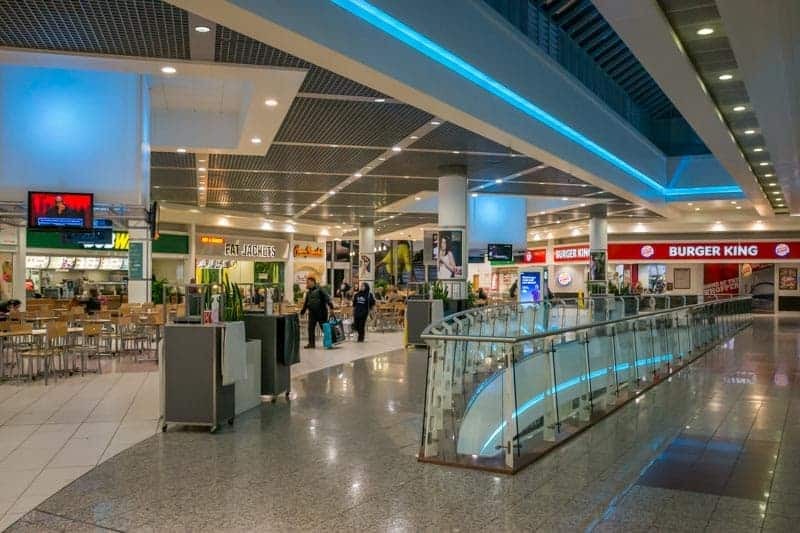 Restaurants on the ground floor of the mall include Bella Italia, Café Route, Harvester, Lime, Nando’s, PizzaExpress, and The Real China. There are more restaurants at MediaCityUK. 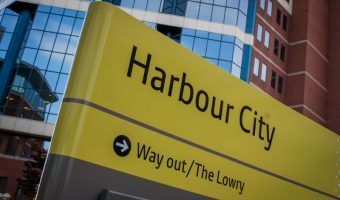 Cinemagoers travelling on the Metrolink should board a tram to either Harbour City or MediaCityUK. 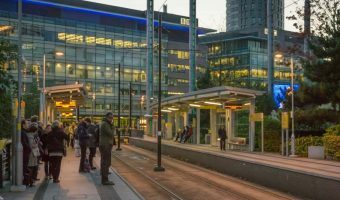 Trams run from Manchester city centre. Buses to the cinema include the number 50 service from East Didsbury to Salford Quays. Stops on the route include Albert Square (Manchester city centre), Salford Central Train Station, and Salford Crescent Train Station. 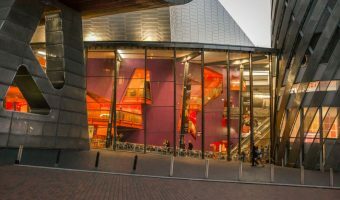 Visitors travelling to the cinema by car should leave the M60 motorway at Junction 12 and take the M602 towards Salford. At the end of the road, follow the A5063 to Salford Quays. Owners of satellite navigation systems can use the postcode M50 3AH. 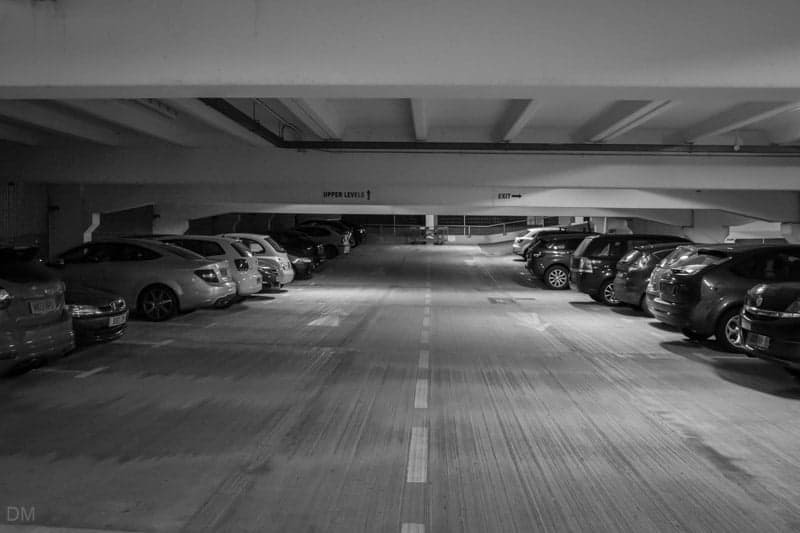 Vue customers enjoy four hours free parking. 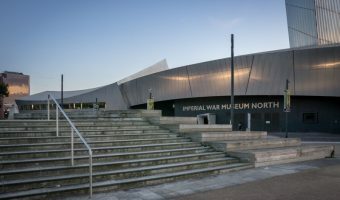 Map showing location of Vue Lowry Manchester.